Ah, resolutions. I've never been a fan of them and never really make them. I always sort of vaguely attempt to, come January, be better at my tax filing system, do more meal planning, and get to Europe more often. Actually writing things down and declaring them just seems like setting myself up for disappointment. So don't look for resolutions from me. 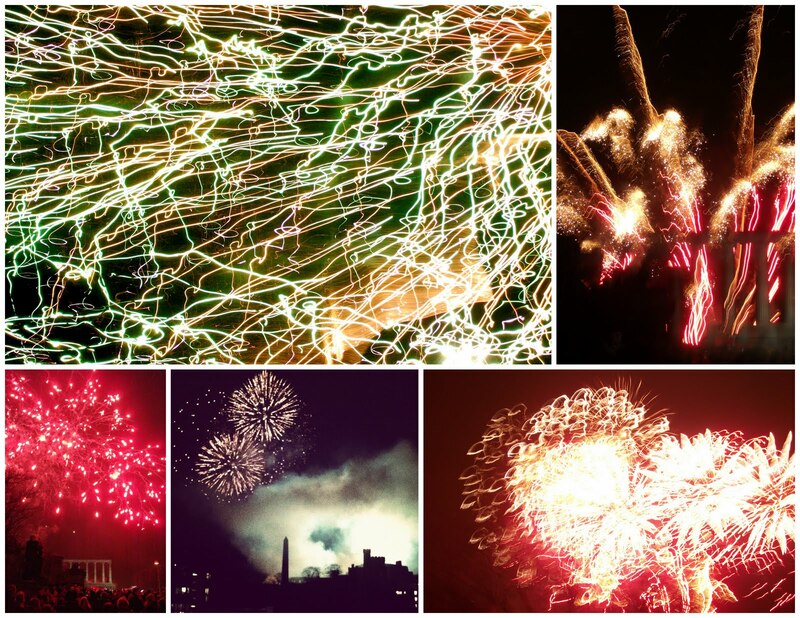 Rather than make up resolutions, here's a video I made of Hogmanay in Edinburgh, set to Auld Lang Syne on the musical saw. The Pressure of New Year's Eve. And some live music events! I don't like New Year's Eve. Too much pressure, amateur night, etc, etc, of course, but also because all it signifies is a 2-3 month stretch of dismal weather, dark nights, and cold. Awful, bone-tingling cold. Rosh Hashanah is a much better-placed New Year, when crisp school supplies are on sale and new school years begin. And, of course, as a musician, New Year's Eve has generally meant a looooooooong gig. 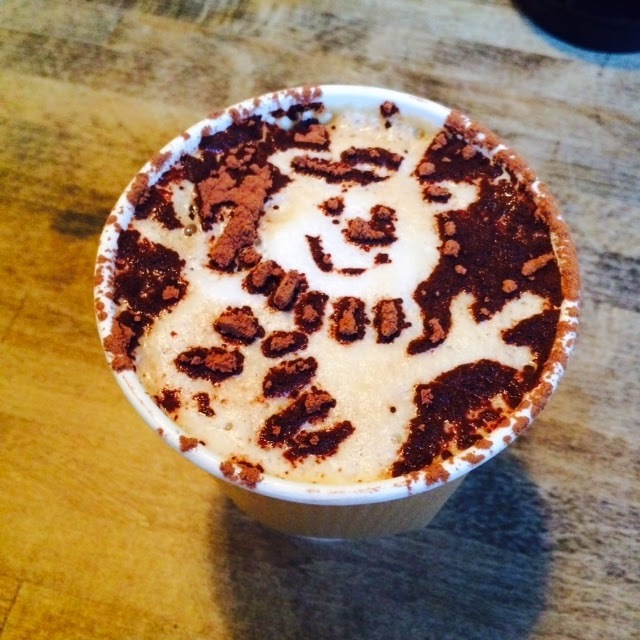 A snowman mocha for your viewing pleasure. I haven't worked New Year's Eve in a few years, however, and I'm kind of loving it. Besides, midnight is a tough goal for the childed, especially the childed whose child is a bad sleeper. I am tempted to put on the Netflix anytime-you-choose countdown to midnight intended to fool children and just go to bed at 9pm myself. I don't want to go to any of the fabulous concerts around town (though the lineups are very tempting). I'm much more interested in the New Year's Day brunch invites than the NYE cocktail parties. And yet ... I am going out this year. Not for a long while, as babysitters are hard to come by on NYE, but enough to put on some sequins and have a fancy cocktail with a wonderful friend whom I don't see often enough. I think, however, I shall pretend that it is just a fun Wednesday, rather than a special event celebrating the turnover of the clocks. January is a depressing place. They are all drop-in classes; no signup required. $10/family. 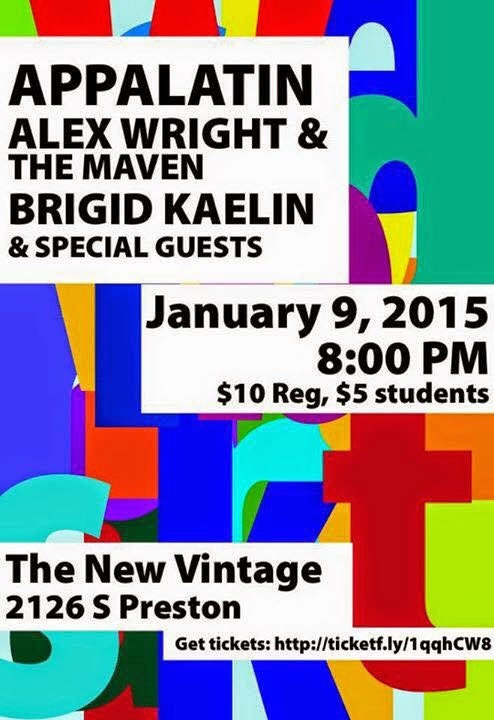 Friday, Jan 9: 8:00pm Brigid Kaelin Band plays at the New Vintage (the old Uncle Pleasant's) doors earlier, as my band starts at 8:00! $10 or $5student tickets. Appalatin and Alex Wright are headlining. My band is awesome and features: Peter Searcy, Steve Cooley, +Dan Canon , and Donnie Arbuckle. Sigh. Motherhood, having it all, and not making it onto the show ad. I'm playing a show in January - a full band show at the New Vintage in Louisville. Alex Wright, savior of my sanity (when it comes to music business, anyway) asked me to join the bill and, knowing that I prefer the early time slot, asked if I wanted to play first. YES, I do! Then the New Vintage created this Facebook event, which is awesome because every event requires a Facebook presence, but they didn't include me on the nice graphic that says who is playing -- perhaps because I'm maybe considered "just the opener," perhaps because they just forgot, or the graphic had too much text already ... or maybe because of all the other reasons I fear. At first I wasn't bothered by that at all, and Alex was awesome enough to immediately add my name to the Event name and apologize, even though he didn't make the even or the graphic. The more I think about it, as with anything, I'm growing bothered by it. Not bothered at anyone in particular, but just sort of shocked that -- well, I knew that having a child was bad for my career, but has it been so bad that I don't even register on the radar as someone who might draw a crowd anymore??? I mean, I've sold, like, four thousand records, and been on A Prairie Home Companion, and played with Elvis Costello three times, and used to be a l'il darling of WFPK (I know, I know, "used to be") ... and, well, it appears that the last few years of pregnancy and raising a kiddo has, yup, hurt my career. Not surprising. Not shocking. Not bitter -- just contemplative and sad. Women, by now, know that we cannot actually "have it all," etc etc. And I'm not complaining about not being the star that I once was. I guess I'm just kind of sad about having this proof of what I suspected all along. I was talking to Steve Cooley just yesterday about how I need a new record. Not for my career (although that is obviously true considering the impetus for the this blog), but for my soul. I need a product. I need something physical -- some evidence that the last ten years of my life, my heart and soul, my efforts as an artist, have not been, well, for naught. Any kind of small business owner/ artist (for they are the same thing) knows that you must stay in the spotlight to keep your business alive. But as an artist, I need something out there, whether it's in the spotlight or not, to justify what I've done with my life. I know, rather than blogging my heart out so you remember my name, I should be in the studio recording. But do you know how difficult it is to get musicians in one place at the same time ... at the same time that there is someone available to set up a mic and push record ... at the same time that there is someone available to watch my kid? Believe me, I've been trying for years. Guys in my band ... are you reading this? Do you have any time this week? Can we just go for it? 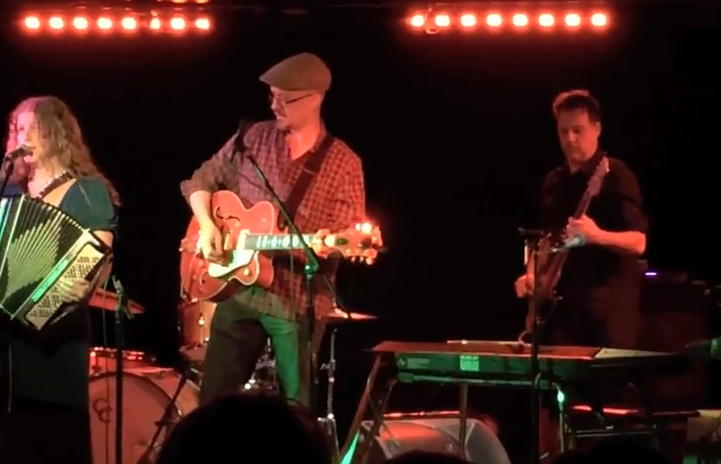 Here's a video from last January's show at the New Vintage with my full band. Check out +Dan Canon on the back up vocals and guitar. Also -- I've got six shows confirmed in the UK for Feb/March. Does anyone in the Midlands want to host a house concert on Wed March 4? Or anyone in the Lowlands or Glasgow want to host one on Friday March 6? My quest to become Big Brigid. We always rent our house out and go to Lubbock, Texas, to visit family for the holidays. This year we made a detour and drove directly to Austin, Texas, to visit my BFF and her three-week-old baby (and her husband and her 4-year-old too, of course ... but let's be ). If you read my blog, you know that the new baby is named Brigid -- still mindblowing to me. 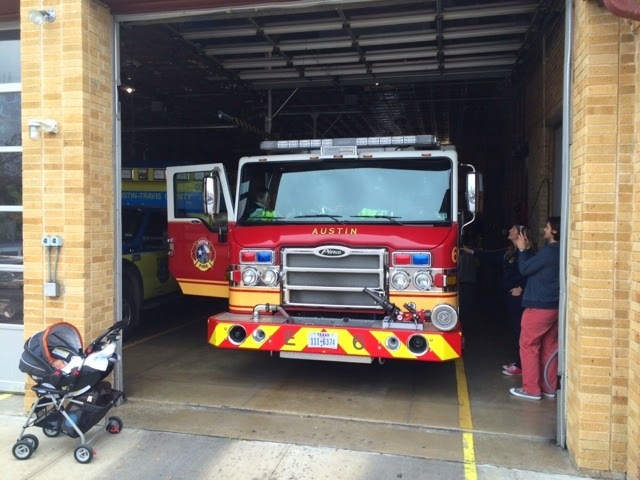 Of course even a new baby couldn't stop us from first rolling into Torchy's Tacos and Kerbey Lane for some of that Kerbey queso (queso blanco with a scoop of guacamole) and delivering lunch to Lyzz and her fam as we took over her brand new house. Speaking of gorging on Tex-mex... After some confusion about which Brigid was which (totally new to me!! ), someone referred to me as "Big Brigid." Now you may think that as a 36-year-old woman, I would not enjoy being called "Big" anything. You would be wrong. I have decided to completely embrace the moniker ... In fact, I doubled my taco order at breakfast the next morning and decided to even have a Coke for lunch and M&Ms for snack. It's on, people. I shall enjoy every minute of growing into my new nickname. Mazel Tonk video! Happy Hanukkah, y'all. I have a couple amazing former students who volunteered as tributes and made a video for everyone's favorite interfaith hanukkah country song: Mazel Tonk! Enjoy. It makes me laugh. 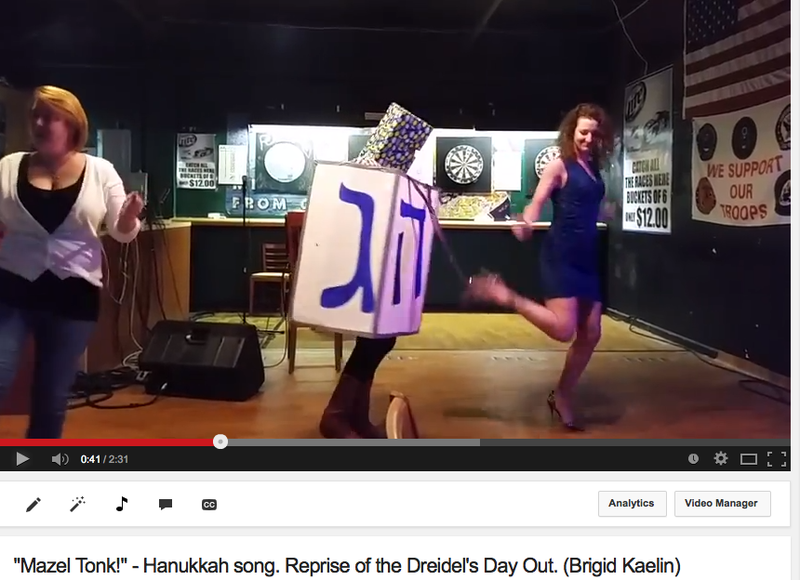 Dreidel goes line-dancing!! Can't. Take. It. Playing catchup: Gift Guide, Cloth Napkins, and Potty Training Updates. That brings me to today's blog: merely a List. Not a Listacle because, let's face it, I clearly can't even get my act together enough to pull that off. These are SO cute. I wish I hadn't bought a wee Boba back on the wee Boy's 2nd birthday. Love all the fabrics and designs and just so so ridiculous. Amber Wait from Worth the Wait Alterations (she also, like, hems trousers and stuff!) makes them. I know she sold a bunch a the Mama's Hip craft fair this weekend, but check out her Facebook page if you are still looking for a gift for a kiddo who likes dolls. The carriers are $25. Bargain. 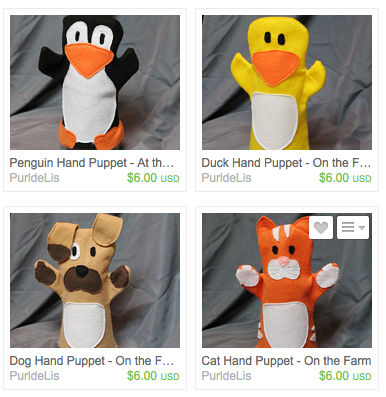 Another local mom, Sarah Walther, makes these adorable felt puppets for only around $6. My wee boy bought the puppy one at a local art fair, and we play with it often.Check out her Etsy shop here. Lots of other local gift guides, but let's remember: I can't get my act together to complete any list. So you're going to have to settle for TWO suggestions. For months I've been meaning to put together a simple cloth napkin tutorial for you. 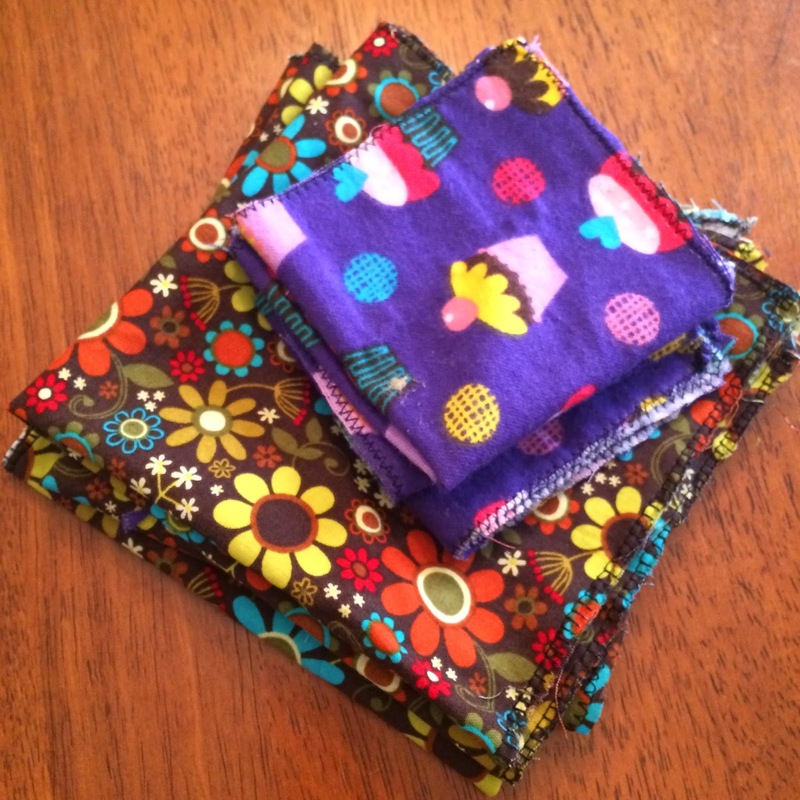 Instead, just have a photo of some of the cute napkins I've made for our collection. The Wee Boy is still a grownup when it comes to the potty. In fact his daycare has even stopped putting pullups on him at nap. No, he still hasn't slept through the night (though we have had a few nights of only waking 1-2x lately, which is miraculous), but he has probably pooped in more restaurants than you have. It's underwear-central at our house. Now if I play my cards right, I might, just MIGHT, have a fun new video for you for Hanukkah tomorrow. I've also got to read 13 more books to complete my Goodread Challenge by the end of the year. And drive 1000 miles on Thursday. And get the house ready for the holiday renters. Egads. 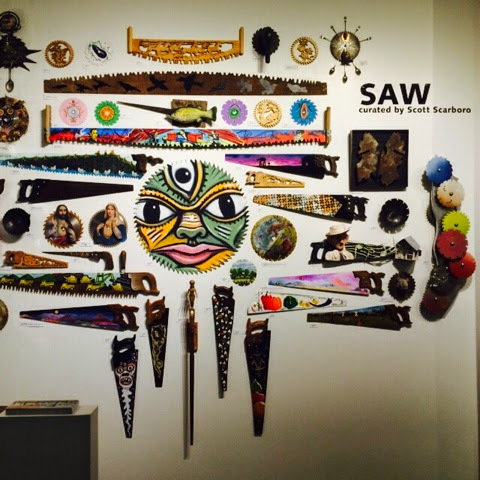 I played an event at Craft Gallery on South 4th Street in Louisville last weekend, where Scott Scarboro curated an exhibit based on the idea of the saw as a canvas (it's very cool -- go see it, and get your holiday shopping done whilre you're there). Not surprisingl it was entirely a saw gig. It was a fun evening, filled with me basically doing karaoke on the saw and also giving saw lessons to random people coming through the gallery. Now I've taught piano lessons for, like, twenty years, but I always refuse to teach saw lessons. 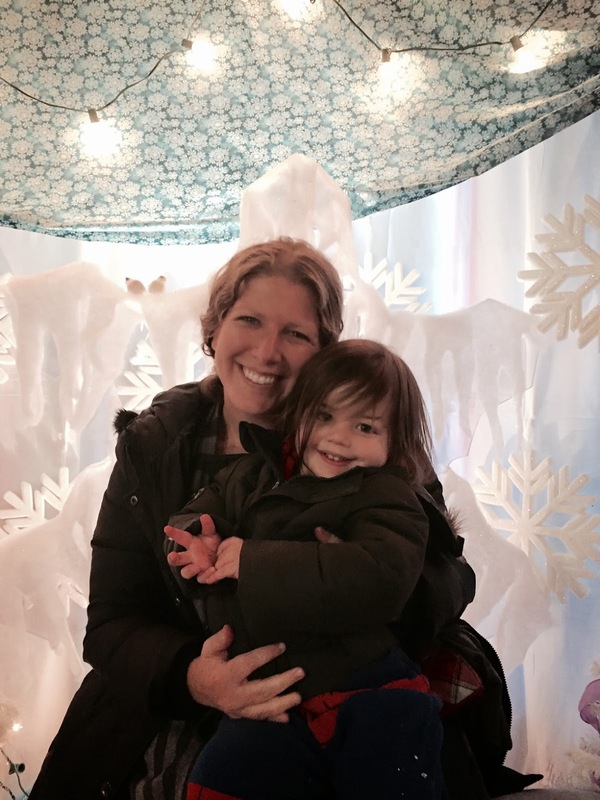 It's not a magician-giving-away-her-secrets thing that keeps me from teaching saw. It's that it's really difficult for most people to even manage a squeak on the thing. When someone tries it and they can't make a sound, there's very little I can do to help them. I can tell you how to hold it, how to make the S-curve, and approximately where to bow on the steel, but I cannot help you with the "feel." Basically, it's a lot trickier than it looks. Anyway, for your holiday pleasure, here's a little video I shot yesterday of me and the Great Steve Cooley playing "O Holy Night" on the banjo and saw. I always loved this melody, and when you're playing saw, it's all about the melody (not the bass -- sorry, couldn't resist). The Importance of Platinum Status. And also, of Togetherness. Seriously, though, platinum status means a huge chance of upgrades. And upgrades for David mean upgrades for companion travelers ... which would be me. So basically I'm mildly bummed about a potential upgrade for a trip sometime next year that isn't even planned yet. But, people! 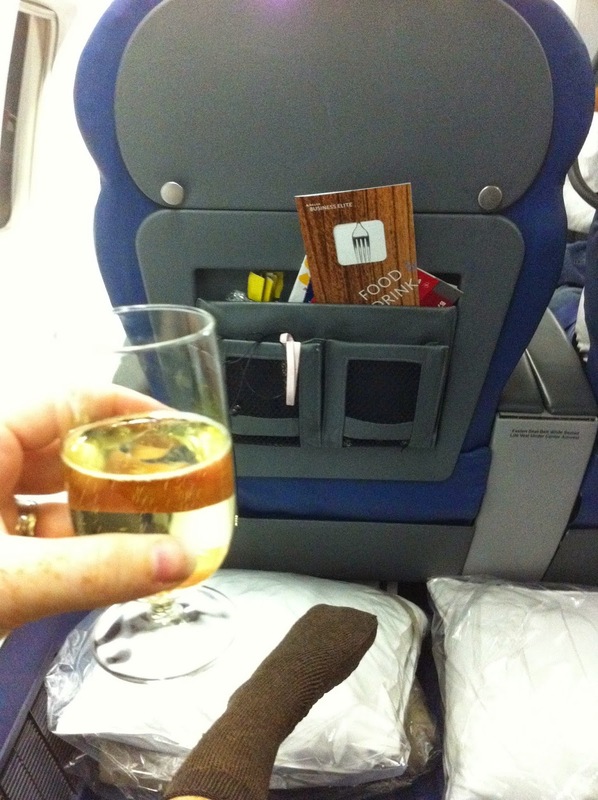 Have you ever flown first class international? Here's a funny little travelogue from my very first UK tour, when Peter Searcy and I got upgraded on our transatlantic flight. Anyway, if you don't hear from me in a while, it's because I'm snuggled up beside my sweetheart sipping mulled cider and singing Christmas carols. More hilarious things the wee boy has said. Also, cookies. Some of my friends have kept glorious leather-bound journals full of letters to their children while they were in the womb, actual printed photographs (not just hopefully stored on The Cloud), and a long list of hilarious things their kiddos have said. I am not so organized, so I am using this blog for that purpose. Today I bring you some hilarious things the Wee Boy has said lately. He just turned two. "I love you so much, mommy. I need you to stay here, so I can cuddle with your armpit." Doctor (in super baby-talk voice): I'm going to listen to your heart. Do you know where your heart is? Doctor: (points to the boy's knee) Is this your heart? Wee Boy: No, silly, that's my patella. Wee Boy: Oh, mommy, you're sick. Your voice is very bad. You need a hot toddy. Also, in general, he is really into fake snoring, which, if you know me, I think is the world's most hilarious thing even when it's not my wee boy doing it. But when it is ... oh my goodness, it slays me! My belly hurts because i just baked 75 amazing chocolate chip cookies, all of which I'm bringing to my free show tonight at Great Flood Brewing Company. Come hear me sing with my good friends Dan Canon and Steve Cooley. A wee lass named Brigid! post pics of other people's babies online. I'm having one of those days where nothing goes right, and everything is frustrating. But I'm alive and healthy, and I know lots of people aren't. Perspective is important, but then again, sometimes it's just okay to have a grumpy day. 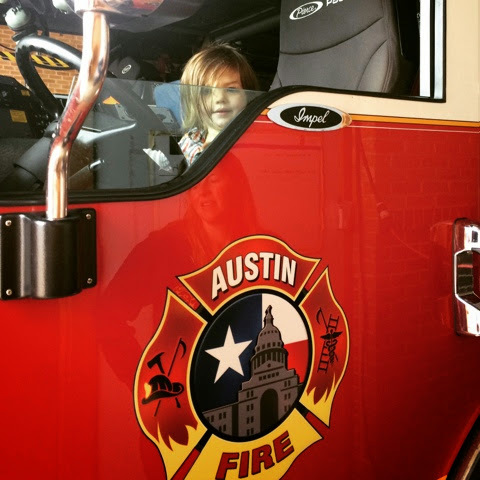 One thing is keeping me smiling, however, and that is the knowledge that there is a little girl in Austin, Texas, who was born on Sunday to two of my favorite people in the entire world. And her name is Brigid. Can you believe that? This brand new, beautiful baby girl is named Brigid. She will have a life of spelling her name out for everyone she meets, but she will also never have to be known as Brigid D. Because there can be only one! I am still in shock, mind-blown, can't fathom, etc, etc. I get to meet this beautiful little lass in less than three weeks, and I can't get to Austin soon enough. In the spirit of love and all that's good, I wrote this song for my own little baby, and now I give it to you (for free, if you want to download it). It's an unmastered demo, but will eventually be on the new full-length album. Business first: Louisvillians, get out your iphones now and ask Siri to remind you to go to Great Flood Brewing Company (by the Douglass Loop) this Wednesday around 6:30. I'm singing there from 7-9 with my good friends Dan Canon and Steve Cooley. It's also doubling as my annual Chrismakkuh party, where I make cookies. Cookies and craft beer and Cooley and Canon and Kaelin ... sounds alliteratively delicious, yes? See you there. It's all-ages, and it's free. 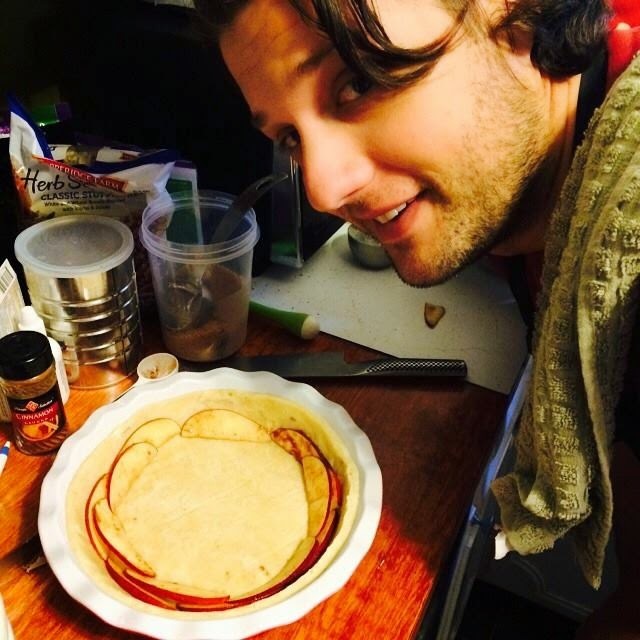 Cooking second: LOOK AT THIS APPLE PIE THAT DAVID AND I MADE! 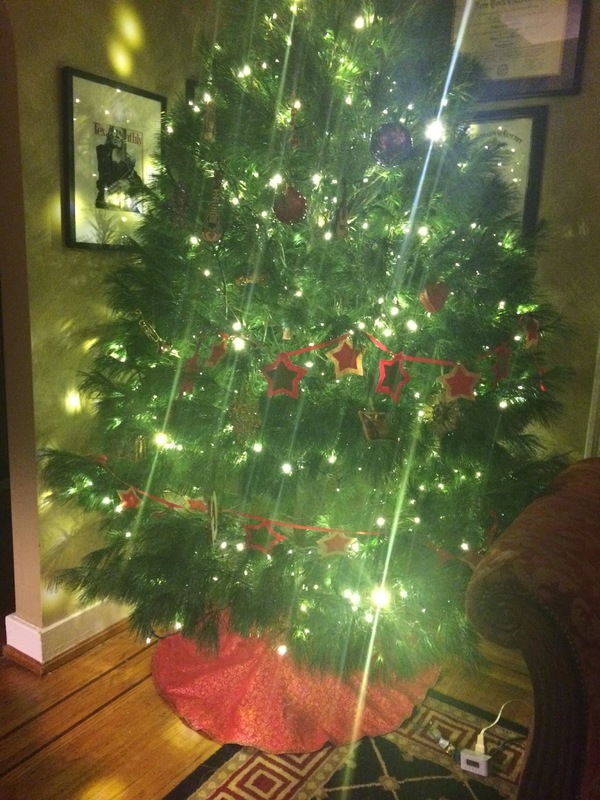 Seriously, we were inspired by Pinterest, but ended up doing a combination of a few designs we saw on the internet. 1. Make pie crust. (Google a recipe). 2. Slice apples thinly, leaving the peels on them. Red apples will suggest a red rose, so using a variety of pinks to reds could be very cool. 3. Toss them in apple pie spices and a little lemon juice. 4. Arrange them like the first picture, but go around and around and around. 5. Use super-thin slices for the center. 6. 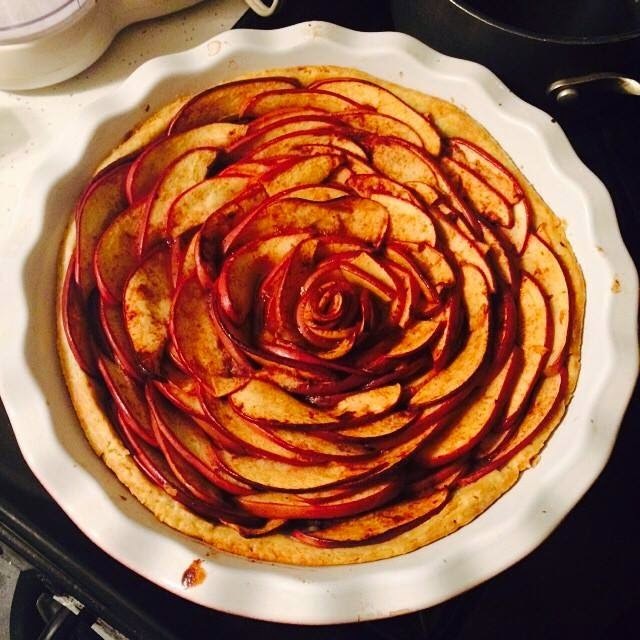 My first layer was too short, so I added a second layer, less carefully, supplementing the "petals" with extra apple slices. 6. Bake at 350 for an hour. It's beautiful. It tastes delicious. But, you know, I think I prefer apple pies that have a top layer of crust on them. The rose design is impressive, but it's hard to cut slices of it. New song debut: "Once I Had" or maybe "Ballad of Nick Keir." I know my posts about potty training get a hundred times more views than my posts about music, but today I just don't care. I'm a singer-songwriter-type, and I'm going to show you a new song. I used to really not like those lo-fi videos of people singing new songs in their basements. But guess what? I've changed my mind. I've been daydreaming of Scotland so much lately, and this new song is for an old friend: Nick Keir. For now the song is called "Once I Had." P.S. Meant to have this up sooner, but my internet was crazy slow today! Sorry. 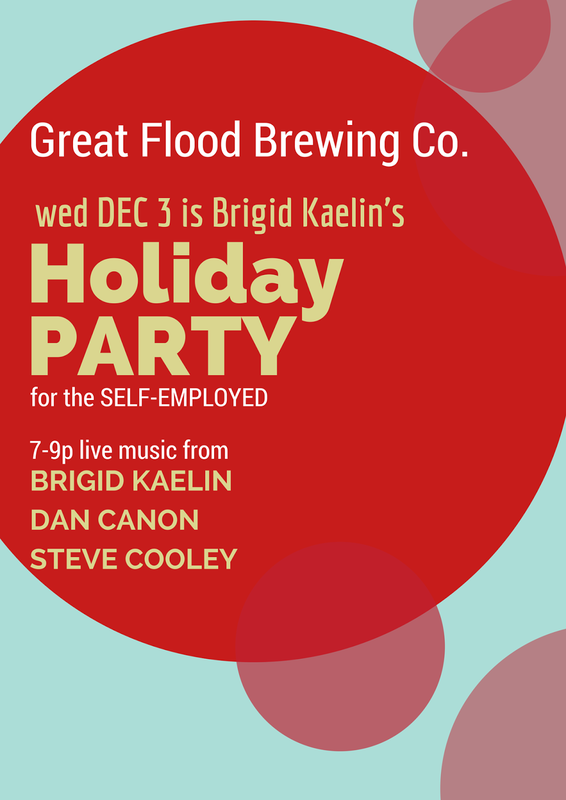 Holiday Party for the Self-Employed! Last week I lamented about being sick while being self-employed. Today I shall whinge-first, then take action, regarding one more terrible plight of the solo entrepreneur: NO COMPANY CHRISTMAS PARTIES! Of course, I of all people should be saying "Holiday" rather than Christmas, but "Company Christmas Party" just flows better. A few years back, I started throwing a little Christmakuh Party where I played music. It was super fun, so we are doing it again this year. 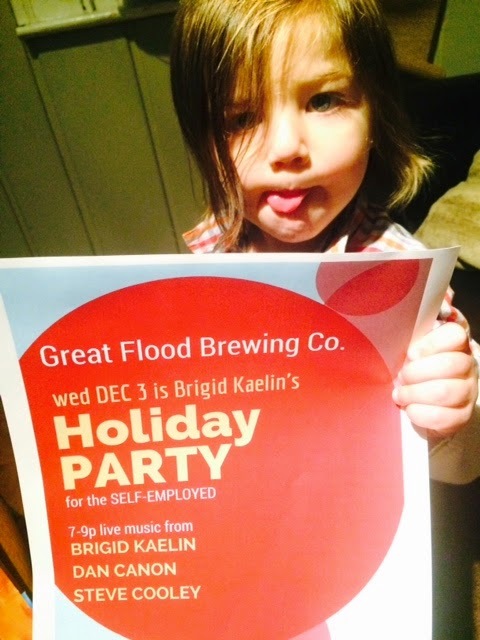 So, self-employed people of all ages, I invite you to the Self-Employed Holiday Party! Of course, your company is responsible for buying drinks and snacks for its own employees. Sorry, my business is just Brigid Kaelin LLC, and that means hello-I-sing-and-write-for-a-living-aka-CASH-BAR! But the entertainment will be fierce and fun, and I shall bring cookies. You can bring your families. Allow me to drift down memory lane to the three year period where I attended CBS company Christmas Parties. They never gave me health insurance, but they had open bar for a few hours once a year, which just meant that we young Assistant and Associate producers drank too much and then asked Mike Wallace to take group photos with us. He must have hated those parties. Ah, youth! The worst thing about self-employment. I've been sick this week. It's not been a debilitating illness though. To be honest, I've felt pretty good all week. The unfortunate part (for me, anyway) is that I've lost my voice. For a teacher and a singer, this is kind the worst. As a self-employed person, it is traumatic. So, yeah, this week has been killer on my income, as I've had to cancel over 20 music classes/lessons. I hate canceling lessons though, and not just because of the lost income. I feel like a weakling ... and like I'm not going to get invited to the Perfect Attendance Pizza Party. Harrumph. Voice is coming back slowly, though, enough that I can teach this afternoon. I better be able to sing by tomorrow afternoon, though, because I'm up to shenanigans with Laura and Su. Check back to see what I'm talking about. Also: UK friends, please email me about setting up a show in your town for early March. I don't want anyone taking a taxi 300 miles in order to find me (looking at you Aneil!). See? Things aren't so bad. I'll keep daydreaming of my upcoming business trip to the UK. Also, I just ran into @benkeeton and blabbed his ear off in my croaky hoarse voice. He always cheers me up. My favorite new medical office (outside of Scotland). My new favorite place: The Little Clinic at Kroger. I love it because it's cheap, easy, quick, convenient, and effective. 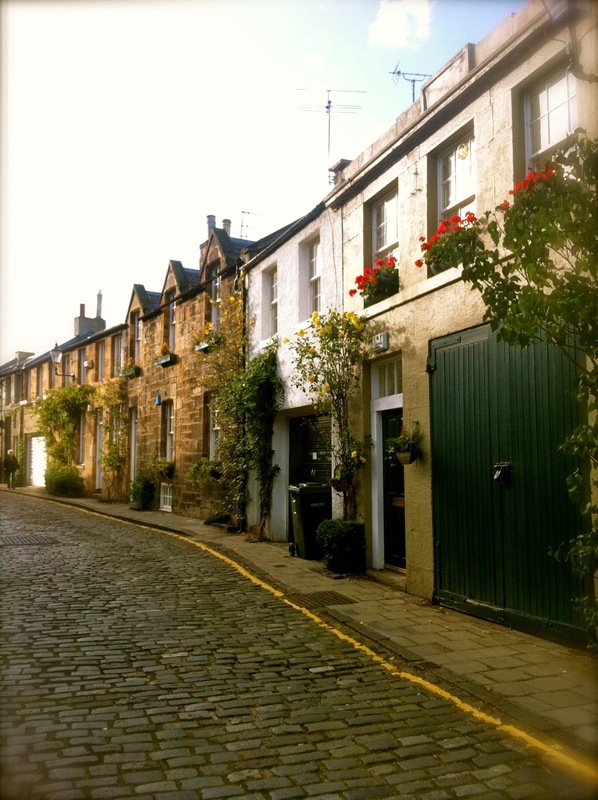 But I also love it because it reminds me of life in Scotland. Ah, Scotland's NHS... The house calls! midwives on bicycles! same-day service! free to all! I think my favorite part of all, however, was the sense of community. You see, I was free to register with any doctor I chose, so I, obviously, chose the doctors in my neighborhood. I would pop up the street when I was ill, wandering through the cobblestone streets by India Place and Circus Place (see photo!). So charming. The Little Clinic isn't quite so charming, but it's just as effective. And isn't that what we want in a medical visit anyway? Outcomes? Health? We don't need to see the world's most preeminent ear canal researcher in order to prescribe antibiotics for a bad ear infection. We need someone with enough training to diagnose. It helps when said person is also kind and a fast-worker. I, someone who rarely ever goes to the doctor, actually went to the Little Clinic on Sunday (they are open on Sundays!). Part of me regrets it because the diagnosis was "pharyngitis," which 1) I already knew I had, and 2) there's nothing to be done about it besides rest and hydration. But I'm also super glad I actually went to a medical office for myself -- I'm pretty sure I've only done that one other time in my adult life because it's so hard to get a same-day appointment if you're sick, not to mention how long you have to wait here, etc, etc. I'm going to stop talking now because I'm just getting all uptight about our wonky medical system in the US. Anyway, long live the Little Clinic in Kroger! I'm glad you're there. I feel like I live in a real community when I can walk to the doctor/nurse practitioner's office. Also, I'm glad you're not a Starbucks (except now I want one of those red holiday cups). It's a snow day here in Louisville! Ergo, I am searching David's company's job postings in Scotland, where there weather is better. 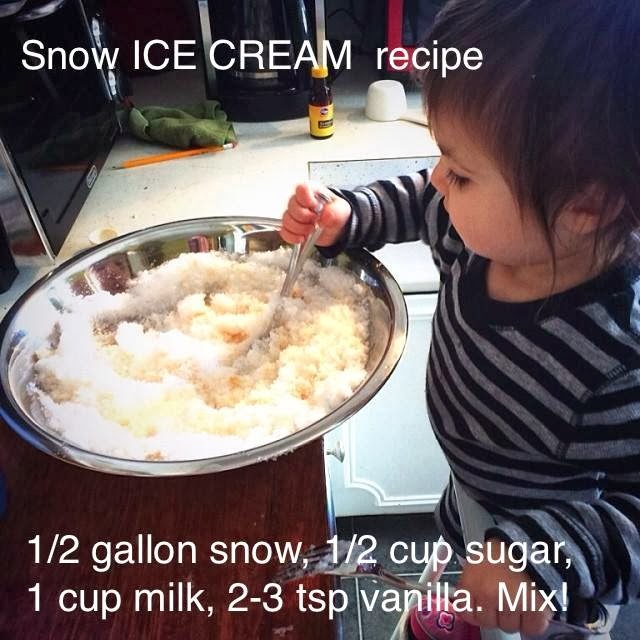 In the mean time, I thought I'd re-print my favorite snow day activity for the little ones. I'd never heard of it until last winter, but it's pretty yummy. Packing for a month for you and a toddler -- in one carry-on suitcase. Part 1 of 2. 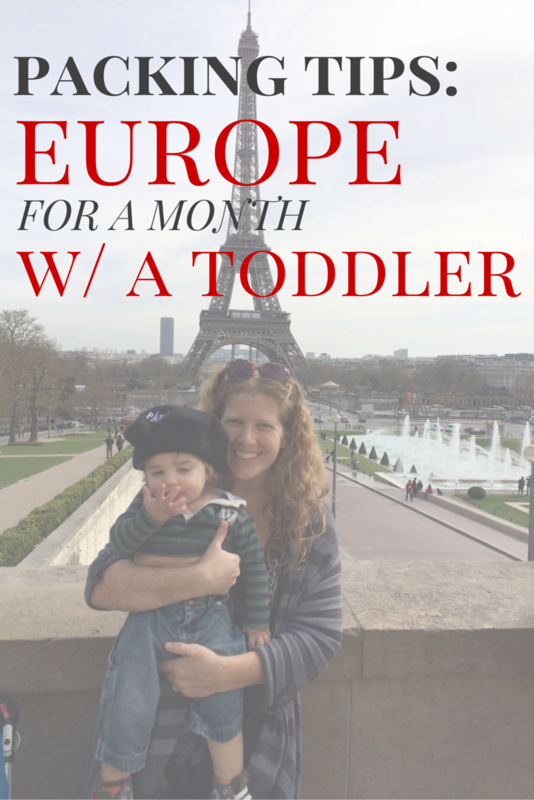 I took my 18-month-old to Europe for a month, and all we took was one carry-on suitcase. I don't have a lot of useful skills, but I can pack like nobody's business. Travel is my forte, particularly airline travel. Road trips mean you can toss anything in at the last minute, no matter how lightly you are traveling -- a roll of paper towels, a huge bag of snacks, a few extra sweaters. Airline travel is different, and I love its limitations. Remember that I am a professional musician, and I have traveled for months at a time, staying in everywhere from tour vans to couches to swanky hotels. 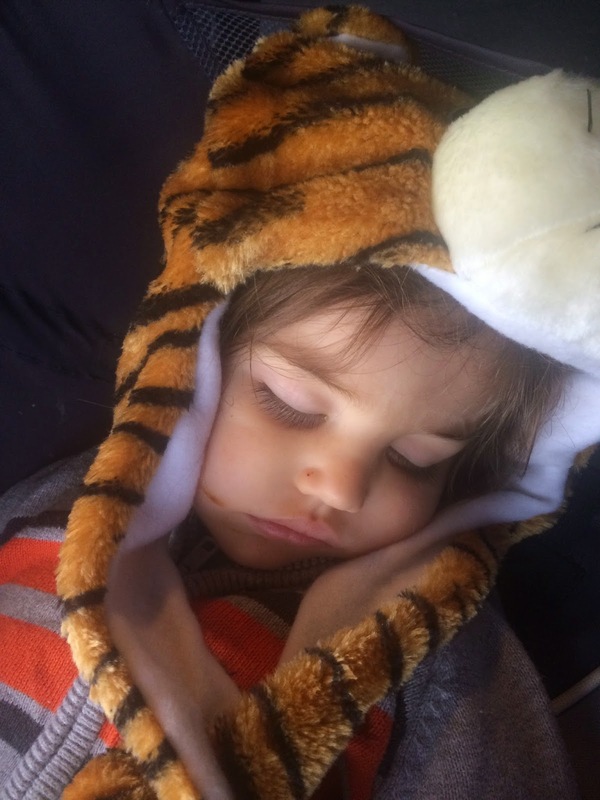 I have picked up a lot of tips from my adventures, and lots of it is easy applicable to traveling with a toddler. I'm also not a zillionaire. I love public transportation, and I don't like pre-planned-vacation-packages. I plan out only what is necessary (plane tickets) and keep my options open. This means things usually go as planned because, well, there isn't much of a plan in the first place. Truthfully, all you really need is your passport and a credit card, right? I'm working on another blog about sightseeing and other travel tips, but for today, I'm going to focus on packing. We traveled from mid-March to mid-April in France and the United Kingdom. 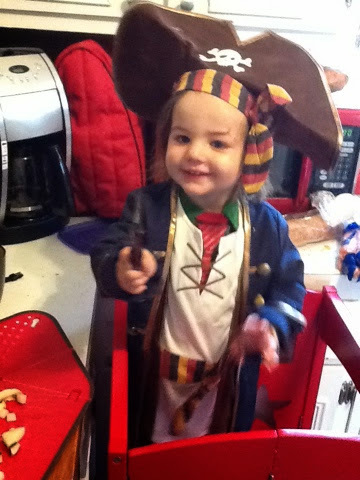 My kiddo was 18-months on the day we left Louisville. The weather averaged from mid-50s to mid-60s (a few days colder), so cool but mild. Our Ergo was the best thing I packed. 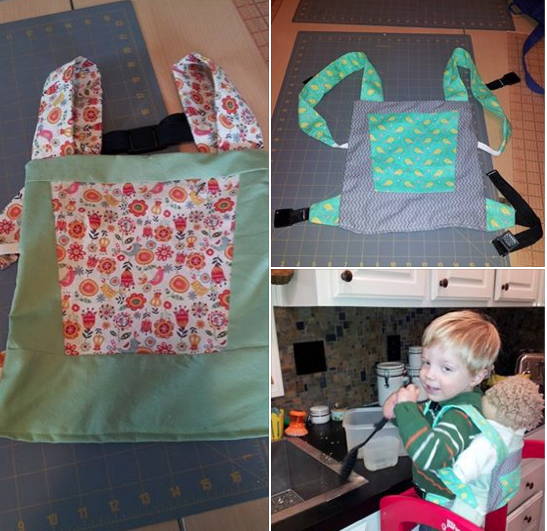 Think different when it comes to diaper bag. From a thrift store, I brought a turquoise hobobag with three large compartments. 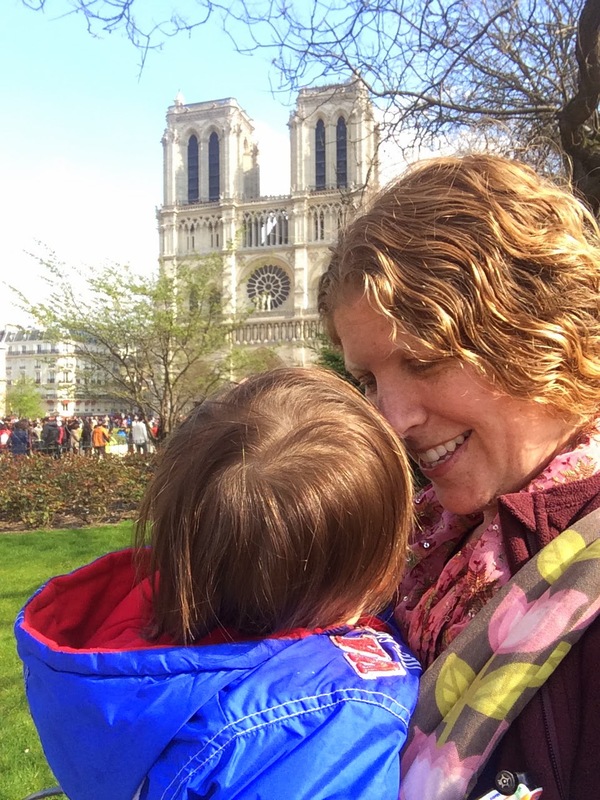 It doesn't look like a standard diaper bag, so it felt less frumpy on the streets of Paris (where everything can feel a bit frumpy compared to French women). It looks more like a purse than anything. A small nylon backpack bag. You know what I'm talking about -- those little bags that are given away at fundraisers and such? I packed two of them, folded flat, for when I wanted a backpack or didn't want to carry the whole hobobag. A baby carrier. 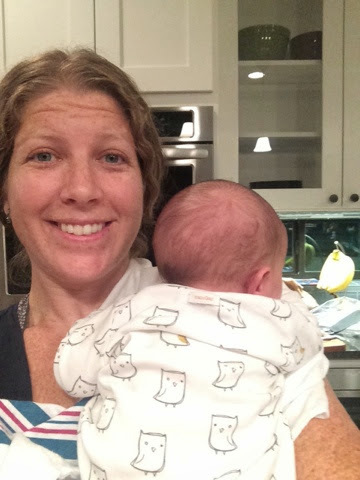 When he was little, we loved the Moby, but we've been an Ergo family since he turned one. He can ride on the front or the back, and he sleeps in it. I wore him most of the trip, even though I had brought along a stroller too. Ditch the stroller. I brought a stroller, and this was my big mistake. I did use it a few times, but I think in the end it was more trouble than it was worth. It was just a small umbrella stroller, but those wheels are horrible on the ancient and busy streets of Europe. The days where I just strapped him on my back were a lot easier for me -- even though he was 27lbs at the time. The Paris Metro is not stroller-friendly, having sometimes over 60 steps (yes, we counted them because every moment is a learning moment). We climbed Sacre Coeur with him in the Ergo, and it was spectacular. It was nice for talking and bonding because he was at eye level with me rather than facing the opposite direction in a stroller. Anyway, next time I might consider buying a cheap stroller once I arrived to a place I would be for a while. But I value my one free hand more than I value the stroller. Lace underwear. Obviously, this was not a romantic trip, but lace underwear nonetheless. For you, not your kiddo:) I brought 5 pair, which is 2 more than my suggested minimum. Why? Lace underwear is easy to wash in a sink and dries very quickly. Disposable diapers. We use mostly cloth diapers at home, but I tried not to think about the pile of garbage three times the size of Texas in the Pacific ocean and went disposable for this trip. Only pack diapers for the first day. I only brought 10 diapers with me for flight. There are babies all over the world, so obviously you can buy diapers when you arrive at your destination. Reusable stickers we bought at the airport. Rent an apartment, not a hotel. Use Airbnb or VRBO or a similar site to find an apartment. Odds are it'll be cheaper, better located, and more equipped (read: a washing machine!) than any hotel. Black or brown. More on packing clothes later, but choose black or brown. Stick to that color scheme when you are packing, and everything will match. Wear your biggest clothes on the plane. I brought some knee-high boots. They would have taken up half my carry-on. Wear them on the plane. Yes, you have to take them off at security, but it's not a big deal. You're already the one with a toddler, so you're not in the Expert Travel line. I also wore my coat on the plane, which was good to use as a pillow/blanket while trying to catch some sleep. Extra shoulder luggage strap. My hobobag didn't have a large across-your-chest strap, so I brought a detachable one. This meant I could strap my toddler in the Ergo, roll the suitcase behind me, place the purse/diaper-bag across my chest, and still have one hand free to roll the stroller (that I wish I had never brought). There is probably a way to strap the stroller to the carry-on without using duct tape, but we weren't able to figure it out (despite several attempts). So these are my broad tips, but I'm also going to tell you exactly what I packed in our carryon and some tips on the actual folding, etc. Apparently people out there don't believe it's possible to travel for a month for themselves in just a carry-on, much less a toddler's things too. This blog is long enough though. 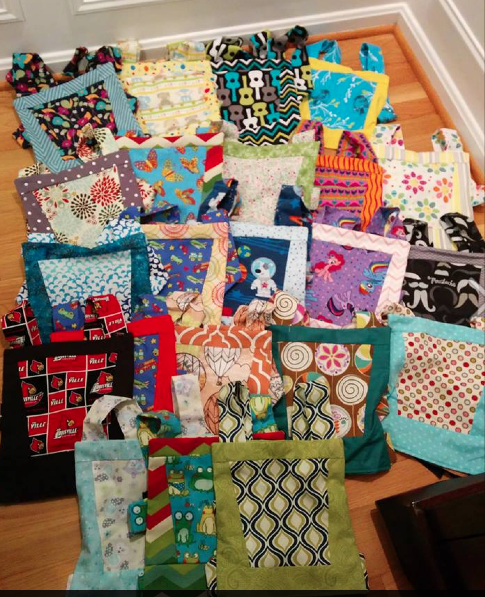 When I finish the What We Packed blog, I'll post a link here. Now, start daydreaming about taking your next vacation. Fine Dining Vegetarian Style in Louisville. Marketplace rules! Nice meals out can be, um, not really worth it if you are vegetarian. At the same time, David and I love, like love love love, sitting down to a luxurious and special meal. We still daydream about our hours-long evenings enjoying the tasting menus at The Number One in the Balmoral and The Kitchn in Leith. I never understand why some restaurants put crap vegetarian options on their menus. The vegetarian of the group is the trump card! Your place only has a portobello sandwich? The group isn't going to eat there, even if the rest of the group is pure carnivore. Anyway, that's all to say that David and I rarely treat ourselves to a nice meal out in Louisville because most Louisville chefs don't pay much attention to vegetarians. For our date night, however, we went to Marketplace down on South 4th Street (it's behind the Brown Hotel, just steps from the Palace Theatre). I'm friends with the Dallas McGarity's (aka the Executive Chef at Marketplace) wife. I happen to know that she is a vegetarian. She also loves fine dining, so I would imagine the chef has gotten an earful a time or two about lack of veggie options at most nice restaurants. We managed to squeeze into a 6:15 reservation, which was perfect for our 8:00 date with Loretta Lynn. (Sidenote: David's co-workers had not heard of her. If you haven't either, please read this and then come back.) Our server knew that we were vegetarians -- it was notated on our reservations -- which saved that awkward moment where the server rattles off the long list of very meaty specials only to be followed by, "We're vegetarians." He went straight to pointing out the lengthy list of vegetarian appetizers on the menu, as well as the two main dishes: one pasta and one entree. At some point we settled into the exciting idea that we didn't have our toddler with us and we'd taken an Uber downtown, ergo: we could order a bottle of wine. Party! I went with Prosecco because I wanted some bubbly but didn't feel like blowing $100 on champagne. It was totally affordable ($27), and totally delicious.